Because lead generation done the right way – the way that attracts prospects to you, and then getting them to absolutely trust your expertise – has a lot of moving parts. Marketing automation, therefore, is critical to your success. Yet, even though Hubspot is expensive it’s also exceptionally comprehensive. So much so that not all B2B marketers actually need all of its phenomenal bells and whistles: they could do well with a platform smaller in scope. If you’d like to consider a few, here are six of our favorites. But there are many – many! – alternatives to HubSpot out there (too many to discuss here). Find one that works best you’re your needs. We’re pretty impressed with this system ourselves. It offers an all-in-one digital marketing platform that includes behavioral-based email automation, a dynamic forms builder, an easy-to-use virtual workflow builder, behavioral-based tracking that helps you really understand what motivation was behind a click, a built-in and third-party CRM, and more. They also have a great team of specialists on hand to answer your questions. Reach out to our favorite Sales guru, Gary Nevins, and let him know Ingenex sent you. He’s the man with the plan and can get you on your way to marketing automation success. We compared HubSpot to InfusionSoft in a previous post, so head over there to read a more in-depth description of this marketing automation system. Many marketers think InfusionSoft is better if your business includes eCommerce because of its shopping cart and order forms capabilities. One thing that InfusionSoft doesn’t have, however, is a blogging platform. Just something to keep in mind. Head on over to Pardot’s homepage and you’ll see that this CMS is affiliated with Salesforce, which — OMG! – Salesforce!! A sales platform that has such a rabid and heartfelt fan following it’s almost as if it’s created its own universe of enthusiasts similar to that of the Star Wars and Star Trek franchises. “Become a marketer that sales teams love,” is a Pardot tagline and it truly can deliver. 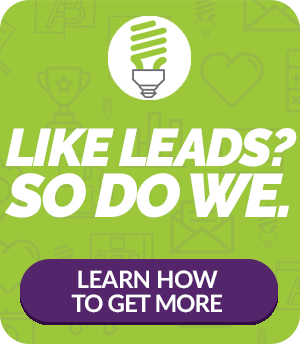 Build data-driven lead nurturing programs that help you generate leads, speed up your sales cycle, create multi-faceted campaigns making “simple” decisions along the way, turn your sales data into marketing action triggers, and more. There’s no cost with Leadsius. We repeat: this marketing automation platform is FREE! Launch campaigns, create and send newsletters as well as web forms. Build landing pages. Dig into its analytics. If you’re really just starting out and hurting for cash but want to start out with a full court digital marketing press, this platform may be for you. Agile touts itself as an affordable, next-generation, all-in-one CRM, allowing you to automate marketing, sales and even customer service in one platform. If you run a small business, Inboundio says it’s the marketing automation platform for you. It offers what it calls an “intuitive CRM” that helps you generate more leads/sales in a “natural, secure way.” It also offers fully integrated email marketing, letting you setup, mail and track email marketing campaigns. Landing page creation and automated posting to your social media channels also is included. The above six alternatives to HubSpot are just skimming the surface if you’re looking for a less expensive content management system and CRM. HubSpot is awesome but it’s by no means the be-all and end-all when it comes to digital marketing automation. You have a lot of choices. Still, HubSpot and the other more expensive CRMs (such as InfusionSoft and SharpSpring) definitely can become much more accessible financially when you hire a digital marketing agency such as Ingenex Digital Marketing with expertise within one or more of the higher-level systems. Hire us and you’ve hired a team to oversee all of your marketing efforts, an extremely valuable added bonus! Learn more about how working with increases your sales and saves you money. Contact us today.